Need to spread fertiliser and seeds but don't want the heavy work involved. 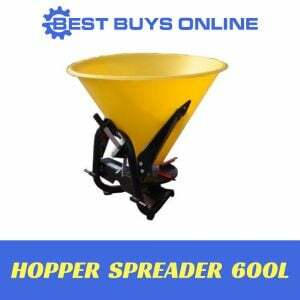 This 85-Pound/ 30KG BROADCASE SPREADER will do the work for you. With professional style, easy-set controls for precise application, this spreader is the easy way to care for your lawn year after year. Just attach it to your ride-on lawn mower or ATV with the single pin latch and start spreading. 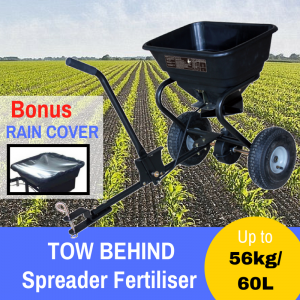 The 26L (30kg) tow-behind spreader provides a smooth distribution of fertilizer while reducing the necessary time, energy, and fertilizer to cultivate your lawn. 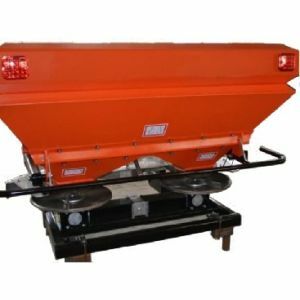 With 30kg capacity hopper, this broadcast spreader is best equipped for use in yards and spaces 14,200 square feet or smaller. Equipped with the metal gear in side of the gear box and a quad-blade impeller, it allows for a smooth broadcast and nurtures more natural, uniform grass growth, while limiting the needed fertilizer for an extra ecological benefit. High-quality materials and the solid construction pay off especially for fertilizer spreading during winter or bad weather. 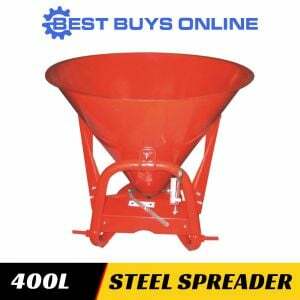 It features a rust-resistant and stainless steel hardware in the hopper and pivot shaft to ensure proper operation and resists corrosion for years of service. 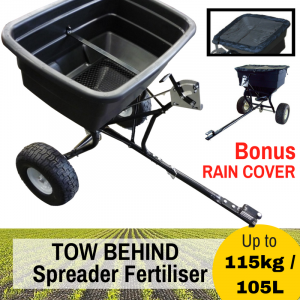 The spreader is towed on two 12-inch (300mm) pneumatic wheels with universal pinned tow hitch for easy maneuvrablity. With on/off control handle accessible from ATV seat, you will find this spreader easily operate whenever you need to adjust the quantity of material output on the go. Now, you can achieve optimal results by having this spread-quantity fingertip control. All purpose for all year long. 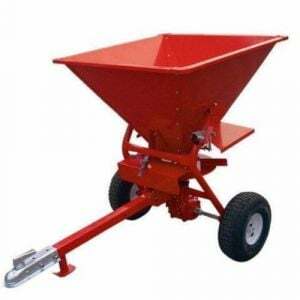 For spreading fertilizer, seeds, lime, winter grit, salt, sand and chippings.